Named for explorer Ferdinand Magellan, who led the first European expedition to circumnavigate the globe, the Large and Small Magellanic Clouds are the Milky Way’s nearest galactic neighbors – companion galaxies that will someday merge with our galaxy. 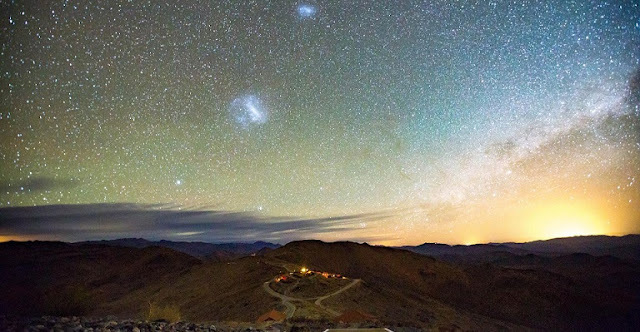 The two galaxies are visible only from the Southern Hemisphere, where they look like bright, wispy clouds. Very interesting article, I wounder if the Universe may acually Expand and contract like a lung. Solistular bodies are like magnetically attracted bodies. A certain +and - charge. Dark matter being a air like binding agent. Expansion and contraction. Lets see if you can rule that out. Also I have a written theory on how space exsisted before time. Larry E Draper. Bend Oregon.